The Joyetech ProCore Motor Tank size is 25mm diameter. It is a sub-ohm tank with various ProC series heads. Top-filling and adjustable bottom airflow. The e-juice capacity is 2ml and optional 4.5ml with an extra glass tube. Silver, Cyan, Red, Yellow and Blue colors are available. The Joyetech ProCore Motor Tank size is 25mm diameter. 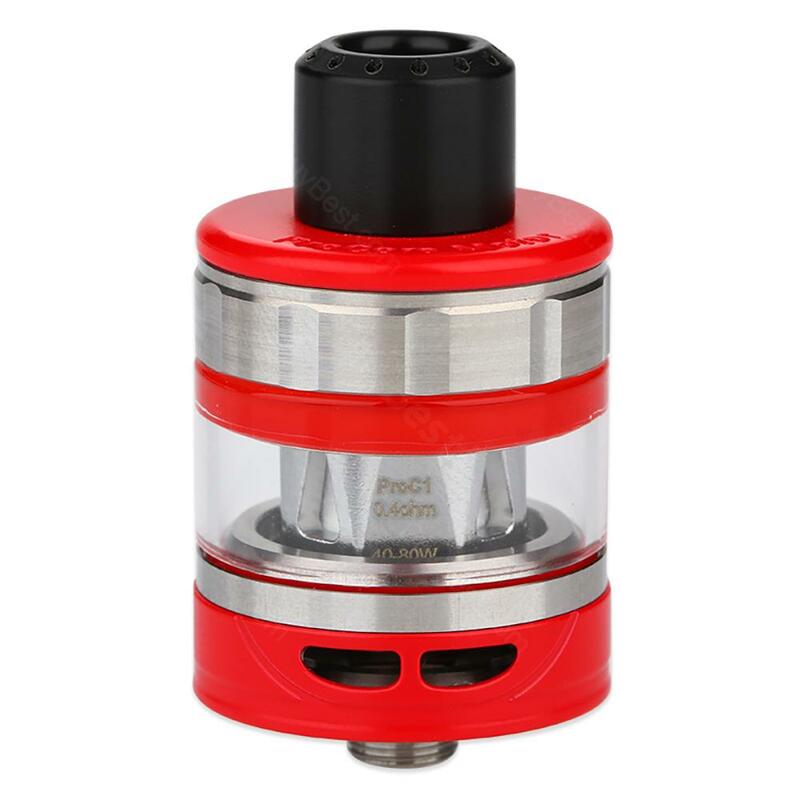 It is a sub-ohm tank with 0.4ohm ProC1 head and 0.25ohm ProC1-S head. The ProCore Motor tank e-juice capacity is 2ml and it also can hold 4.5ml e-juice with an extra glass tube. The atomizer features the innovative flip type top-fill system and adjustable bottom airflow, which will offer you amazing vaping experience with DL or MTL for massive vapor production and great flavor. This Joyetech ProCore Motor Tank is perfectly compatible with 80W Joyetech Ekee TC MOD. Silver, Cyan, Red, Yellow and Blue colors are available. Decent vapor production out of the 0.4ohm coil head on Procore motor tank. Everything about this procore motor tank is good. Price, refill, airflow, no complaints here. So far I likt it. Joyetech procore motor tank works well so far. Optional juice capacity, and nice flavor.